Slide is a camera strap, but one that’s different from every other camera strap out there. Slide is more than just a neck strap, sling strap or shoulder strap. 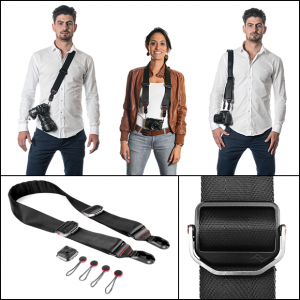 Slide is a new kind of camera strap that incorporates everything we love about existing straps, as well as feedback from thousands of photographers worldwide. In a nutshell, we think Slide is the most thoughtfully designed camera strap ever created.